Every successful business is facilitated and maintained by good and strategic sales methods. 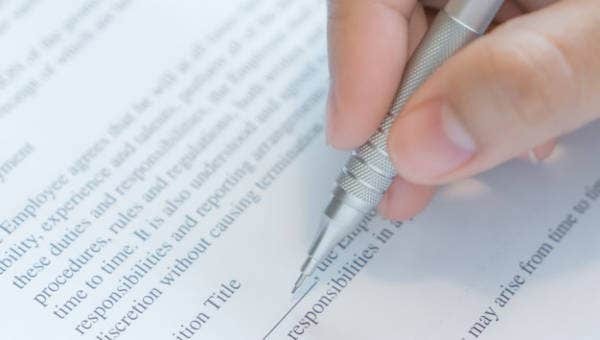 Therefore, as one of the most proven written instruments of acquiring and closing a sale, the sales proposal samples has to be taken with much thought and deliberation. Marketing and advertising can only do so much; it is the closing of a sale that gets you the profits. 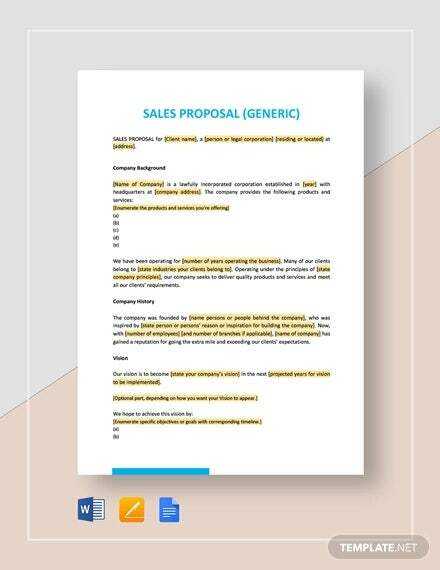 To help you make a sales proposal that is as comprehensive and compelling as should be, we have searched the Internet for the best sales proposal templates and present you with this select and assorted compilation. Sales are an important factor in which dictates your company’s failure or success. This is where sales proposals come in. 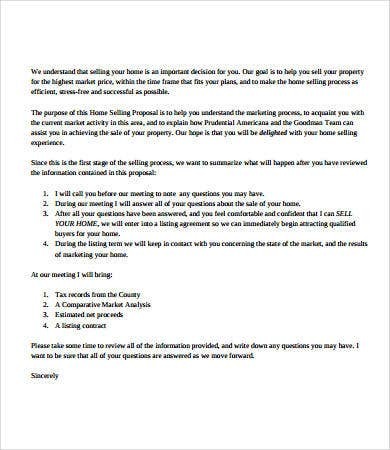 As said before, the sales proposal outlines strategies that ensure closing a sale. In this section are some few tips to help you land that big score. Introduce your product or service elaborately. State the brand or business philosophy of the company and how that is reflected in the product or services you are offering. 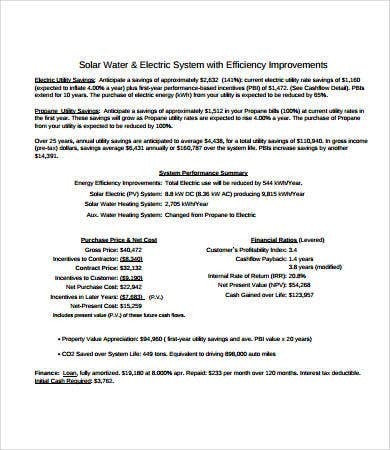 Mention, for emphasis, the years that you have been in operation and provide a history of your reliability as a provider. If you are a fairly new business, show the potential client what you can offer that is innovative and different from your competitors. 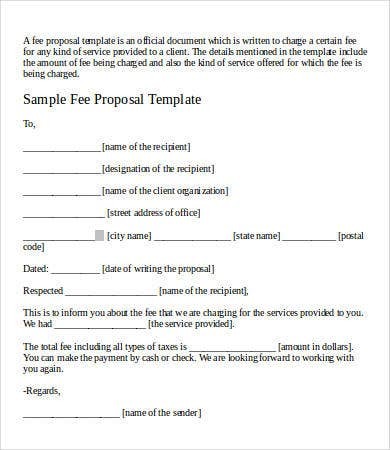 Provide the client with at least three choices. Clients like to feel in control, and giving them one or two options makes them feel that they’ve looked into enough options and chosen the best one. However, don’t get trigger happy and overwhelm them with options. Three or four is the ideal number. Start with the highest price, going lower. Avoid giving them a price range. The price is oftentimes a reflection of the quality of your product or service, so you don’t want to set it too low. But you don’t want to set it too high either, lest it intimidates your potential client. Use the right words. 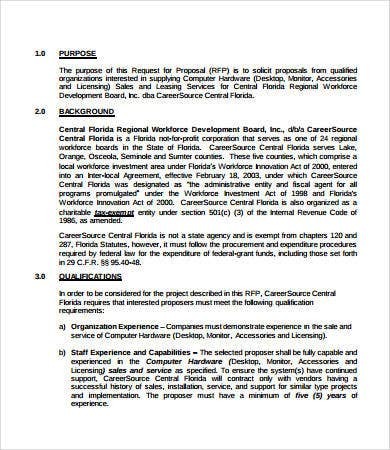 Employ terms that convey some kind of return for the client, such as investment instead of costs, fees, or charge. 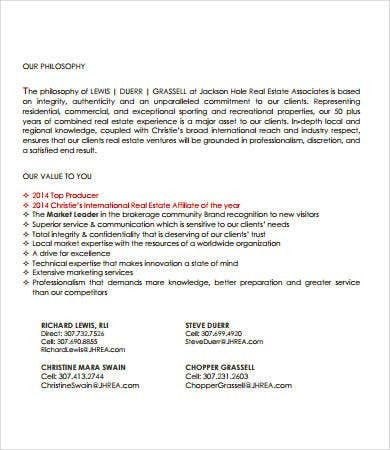 Phrase your offer in terms that encourages your client to expect a return on his investment. 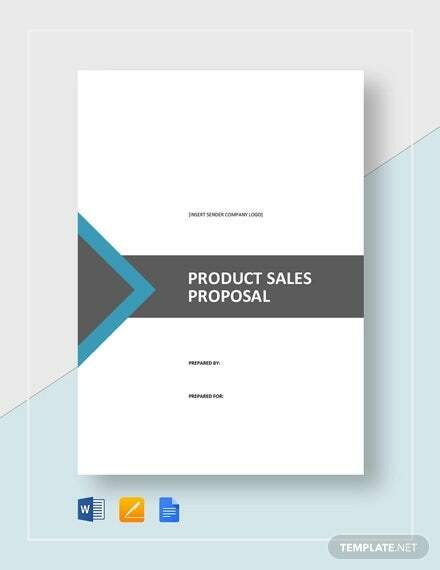 Use our sales proposal templates to get started on that business deal you’re looking forward to close. 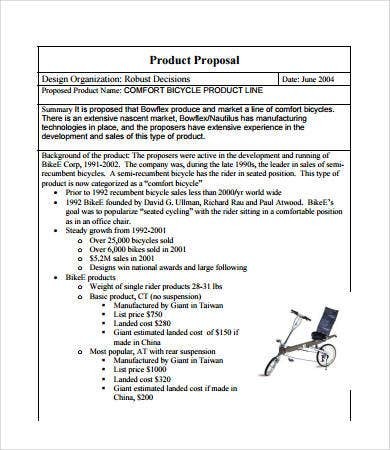 The sales proposal templates we have found for you all feature the elements we have listed above. They are all professionally drafted and can be downloaded for free! 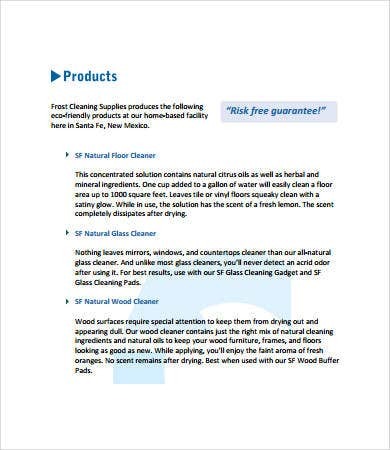 You can modify them to the terms specific to your product or service. 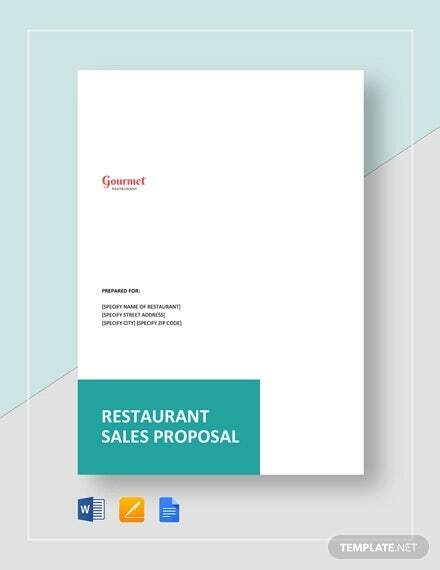 And for when you have closed the sale, check out our marketing proposal templates and training proposal template to ensure that everything goes smoothly in your new venture. 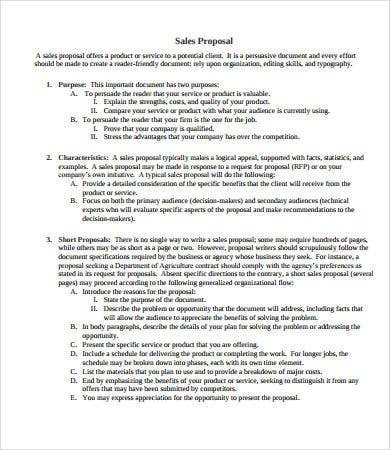 Writing an effective sales proposal or business proposal template is only the first step in earning your client’s or partner’s confidence and trust. You’ll need to establish and present a strong business acumen and let them know how your partnership can bring the client’s brand to greater heights. This can only be accomplished by meeting your clients/partners personally and reinforcing your proposal with a human presence. Be bold, sincere, and persuasive!